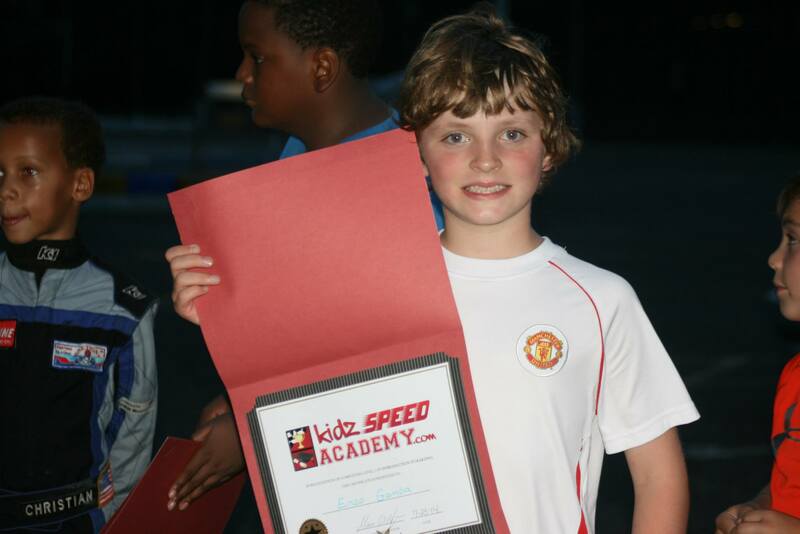 admin | Welcome to KidzSpeed! Click here to see the Facebook photo gallery of the entire day. 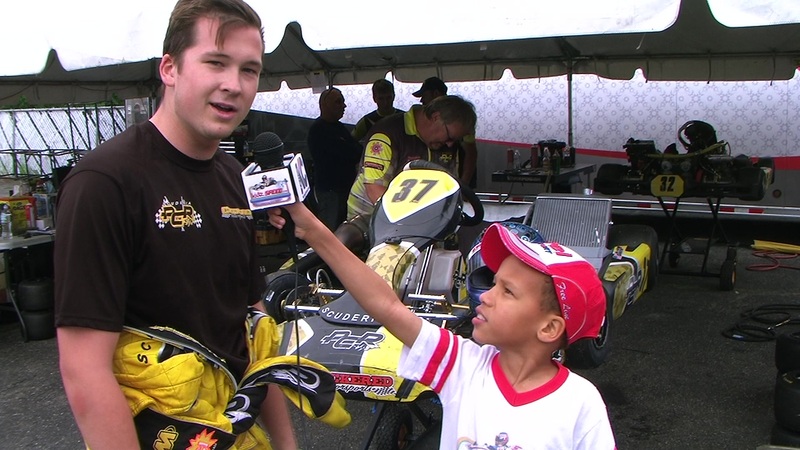 Click here to watch the *racer interviews on YouTube. 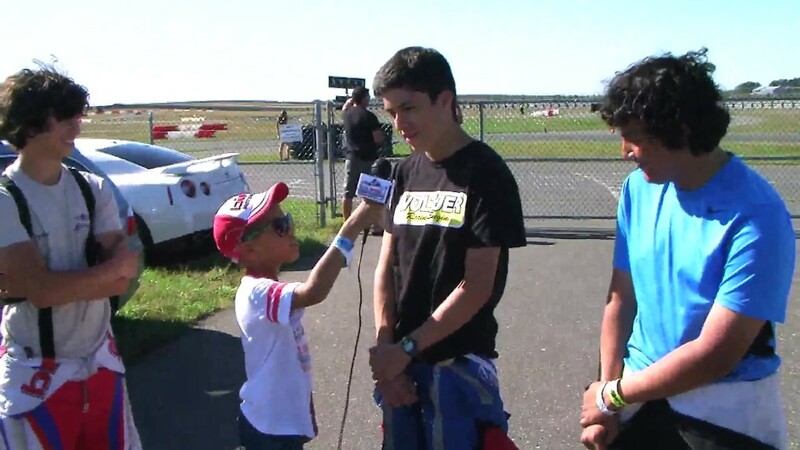 Matt Solarczyk, Andre Castro & Nigel Brooks (Chi-Chi Racing) <- Click here to watch the Chi Chi Racing interview and intro w/ Mike “Chi Chi” Ramirez. Remember to follow KidzSpeed on Facebook to see the latest happenings. 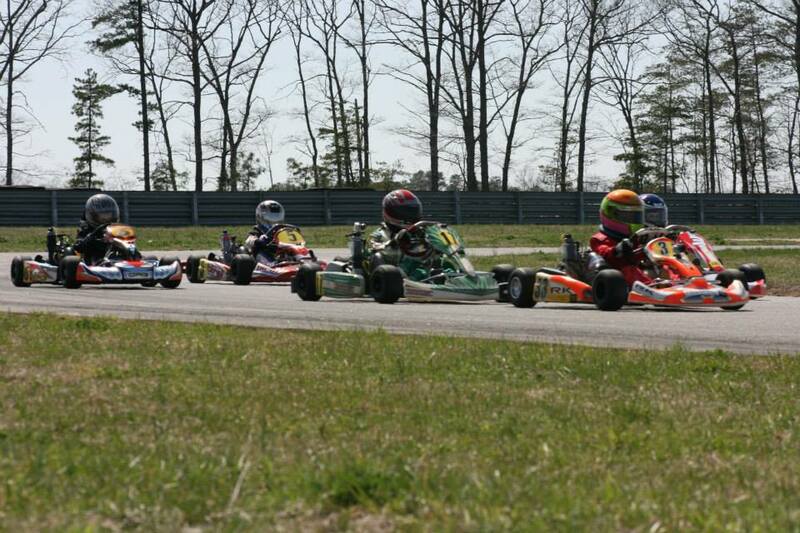 2014 KidzSpeed.com ©; F-Series, Gear Up Challenge ©. All rights reserved. 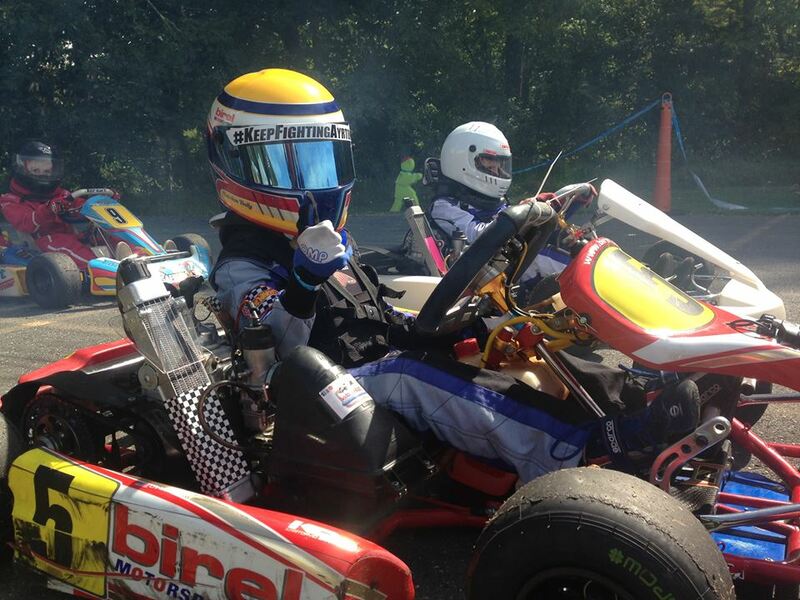 What happens when you ask a Cadet kart racer to drive an Amusement Park Go Kart while on vacation? Well….. the response speaks for itself! Attention NY, NJ, and PA, tri-state area. 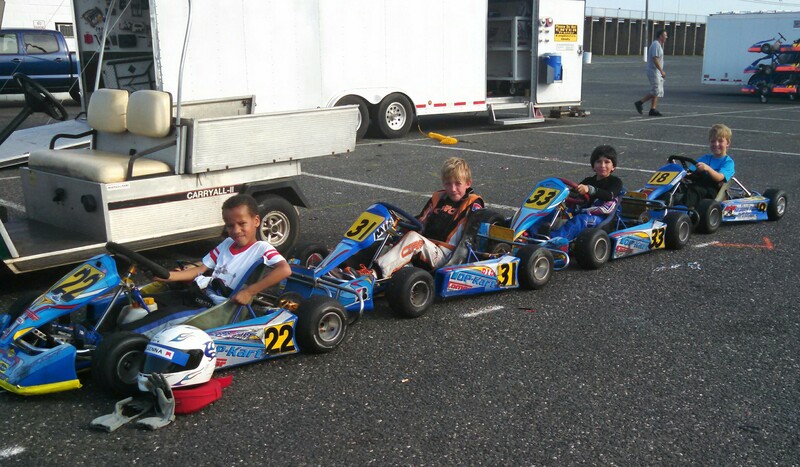 I am proud to announce the start of KidzSpeed Academy, “Introduction to Karting” classes, for ages 5-14, taught by experienced instructors at Englishtown, Raceway Park in Old Bridge, NJ, Wednesdays at 3:00 P.M.
Sign up for “Introduction To Karting” class, taught by KidzSpeed Academy instructors. 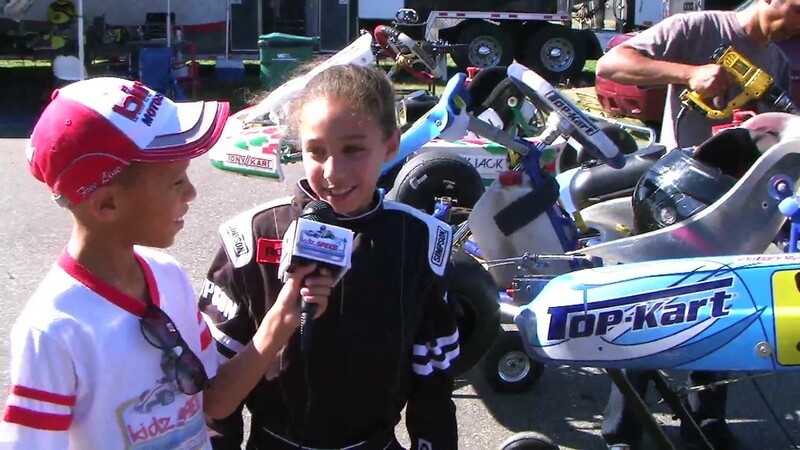 Karting is a sport, few know about, but is one of the most exciting and safe motorsports for kids ages 5-14. 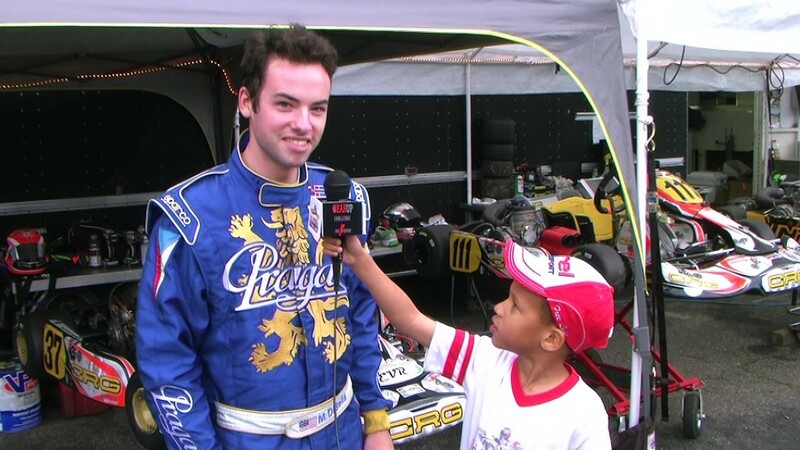 Karting is considered by many racers to be “the purest form of motorsports”. Many professional race car drivers in Indy, Formula 1, and Nascar, started (and still continue) to race karts. 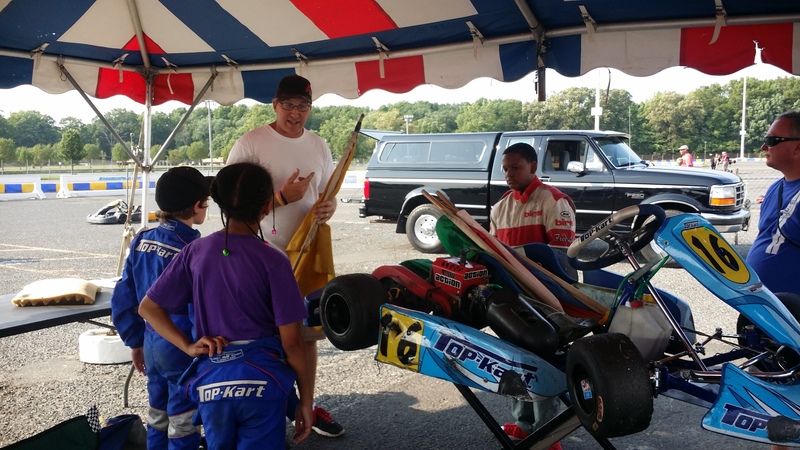 *Note: these go karts are not your typical amusement park, boardwalk type bumper cars, but actual, precision competition go karts built for youngsters. 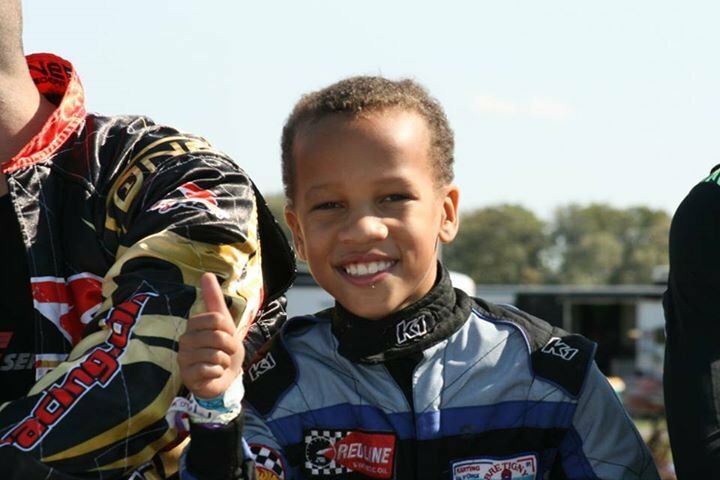 Instruction and driving are provided in a safe, fun, environment.Through KidzSpeed Academy, student drivers and parents alike will experience the “in’s” and “out’s” of racing and everything that comes along with it. 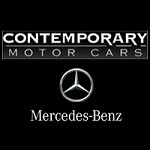 Safety, fun, driver comfort and building a strong foundation to share with family are the focus of this program. 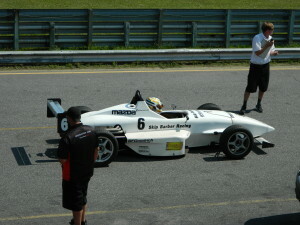 Both classroom and on track techniques are designed to accommodate first time drivers. Trackside training – Track Tour & Walk. 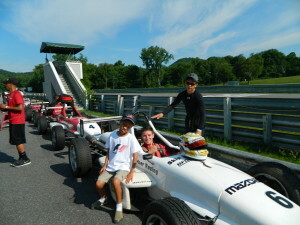 Final competition laps and race session for certification – Certificate of completion award. 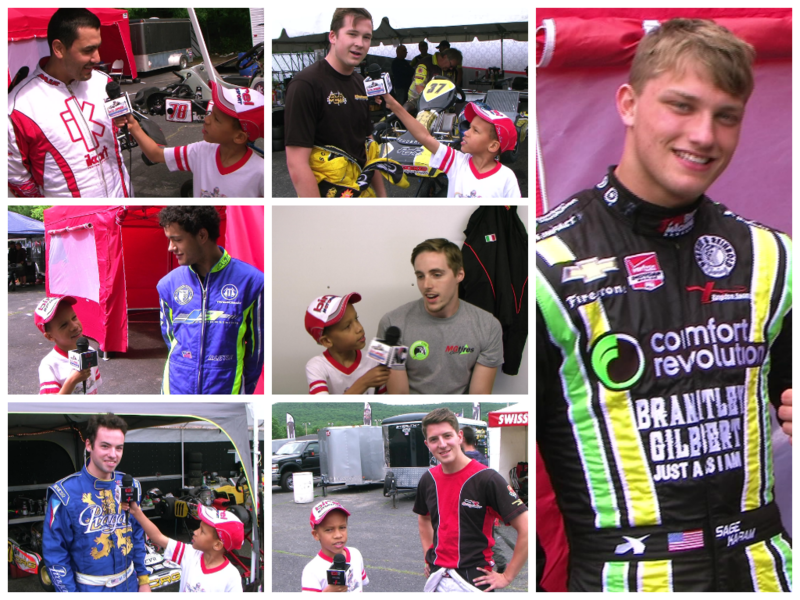 Meet and greet similar aged, Ambassador competition regional and national champion kart racers including: Pierce Tetlow, Sufyan Waryah, Alfonso Lombardo, Marco Oldhafer Jr., Ryan Raffa, Christian Rutty and Justin White. 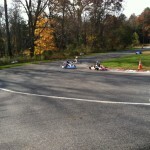 Level 2 / Advanced Formula Karting class is now OPEN. (Prerequisite: “Introduction to Karting” certificate required) – Teaching the racing line for competition, heel & toe, green flag rolling starts, engine limiter removed and more track time. Wednesdays at 3:00 P.M. July 30th August 6th August 27th September 3rd ……. 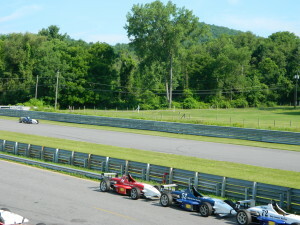 My first trip to Lime Rock Park to watch the Skip Barber Formula Race and cheer on my racing buddy, Carter Fartuch and his family. 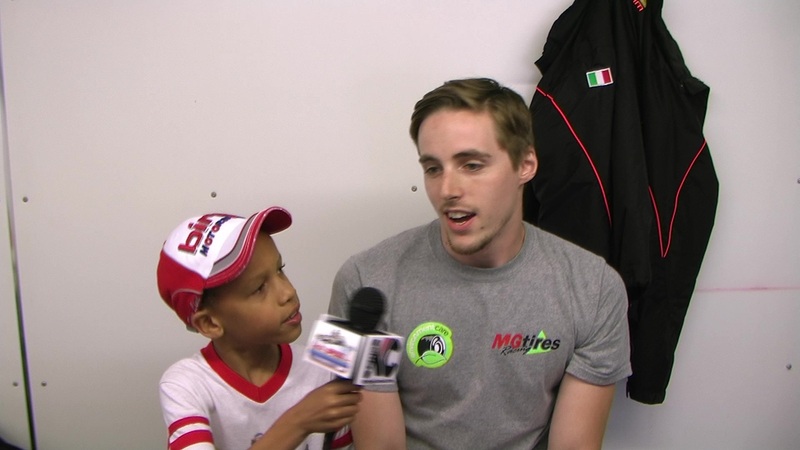 It was a really fun day and I made some new friends, including racer, Michai Stephens, 2013 winner of the Skip Barber IndyCar Academy Shootout. Carter did really well in his first race and Michai is an incredibly fast driver! A great day of motorsports! 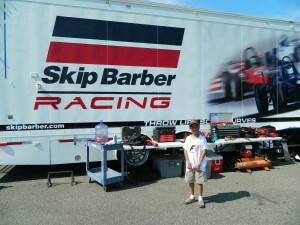 Skip Barber Racing School is one of the best schools to learn auto racing after you graduate from karting. 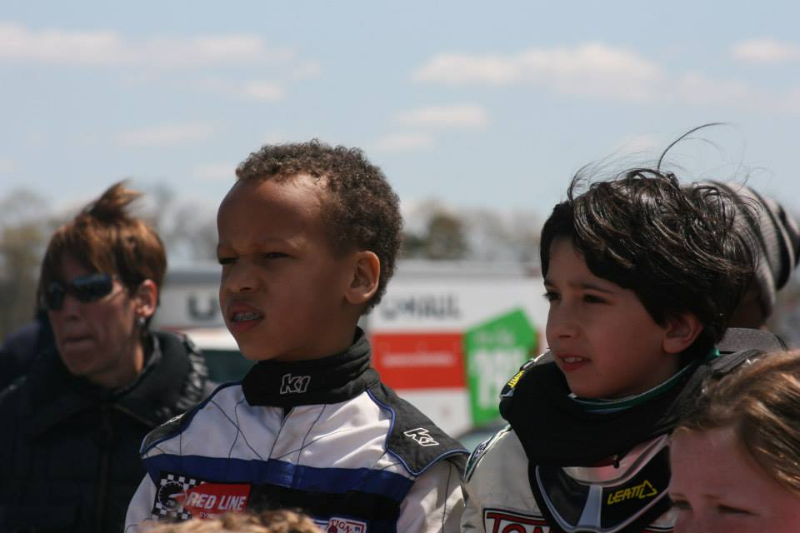 Many top racers came through the program. I hope to go there and train when I am older. 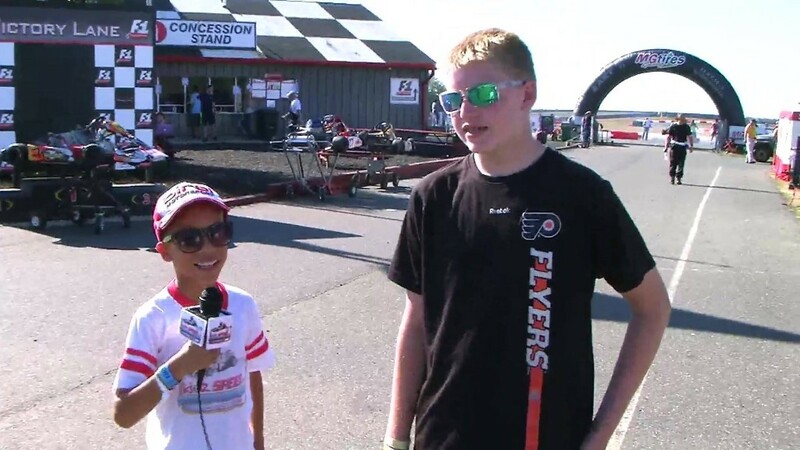 My interview with Indy racer, Sage Karam and six other fast kart racers from the F-Series / Gear Up Challenge race #3 at Oakland Valley Race Park. 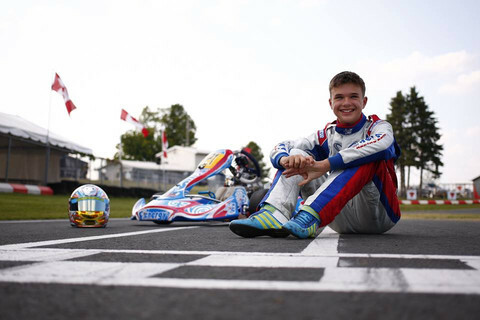 2014 KidzSpeed.com ©; F-Series, Gear Up Challenge, KartingConnect.com and 2014 Sage Karam ©. All rights reserved. 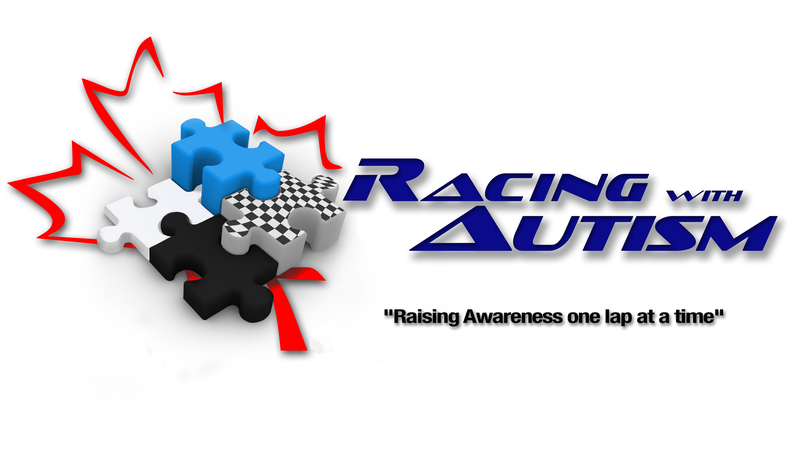 The 2014 racing season has started. I can’t wait to get back on the track and race. 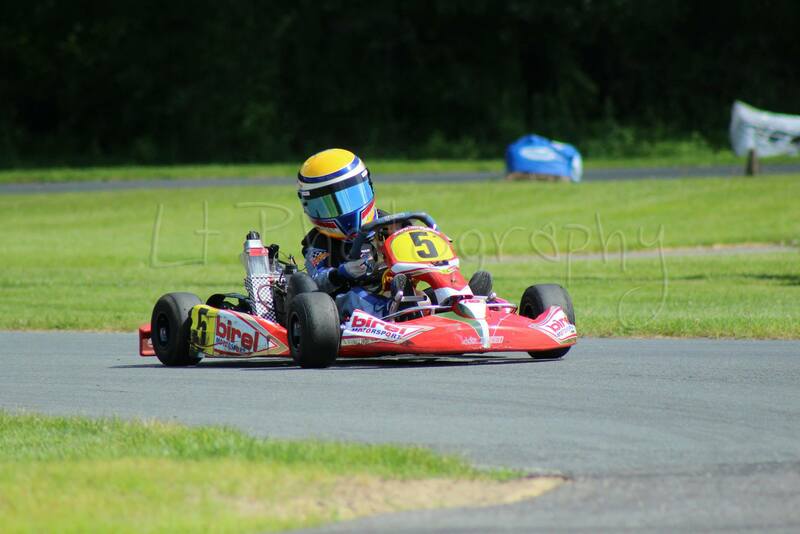 My kart is tuned and adjusted, since I grew a little since last year. We have a trailer to haul the go kart and I have a new helmet. 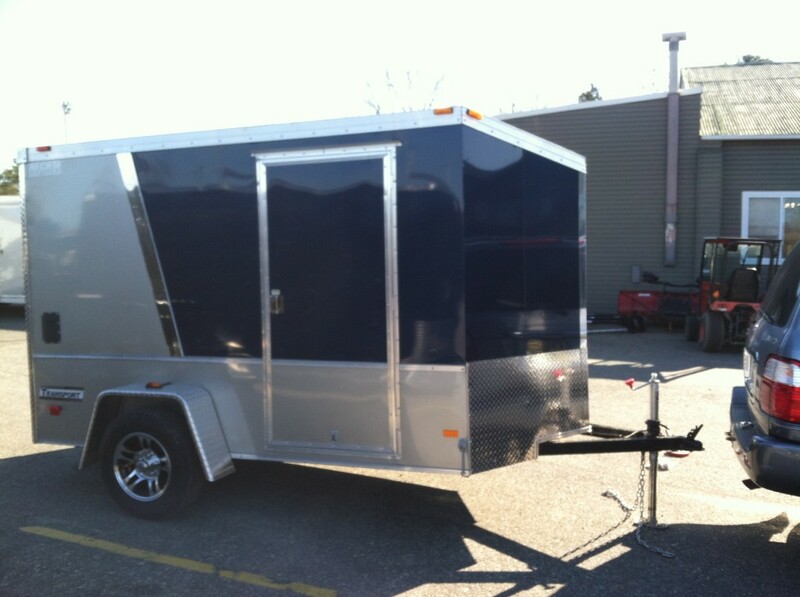 My trailer is fun and we can get to practice and races a lot more easy now. 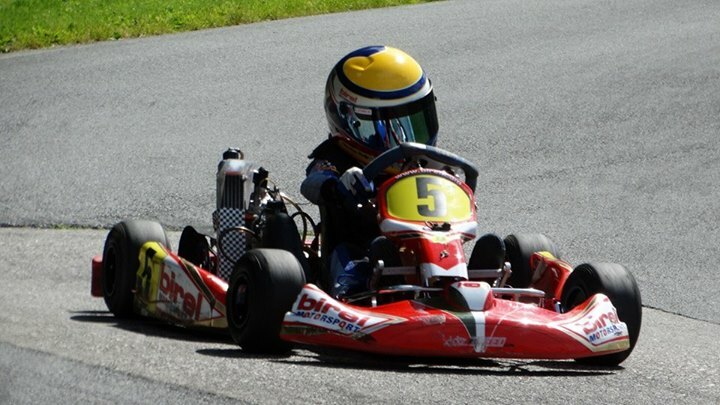 Of course, both the helmet and trailer have the KidzSpeed logo. This year I will be racing at F1 New Jersey Motorsports Park (NJMP) in Millville, NJ and Oakland Valley Race Park (OVRP) in Cuddebackville, NY. 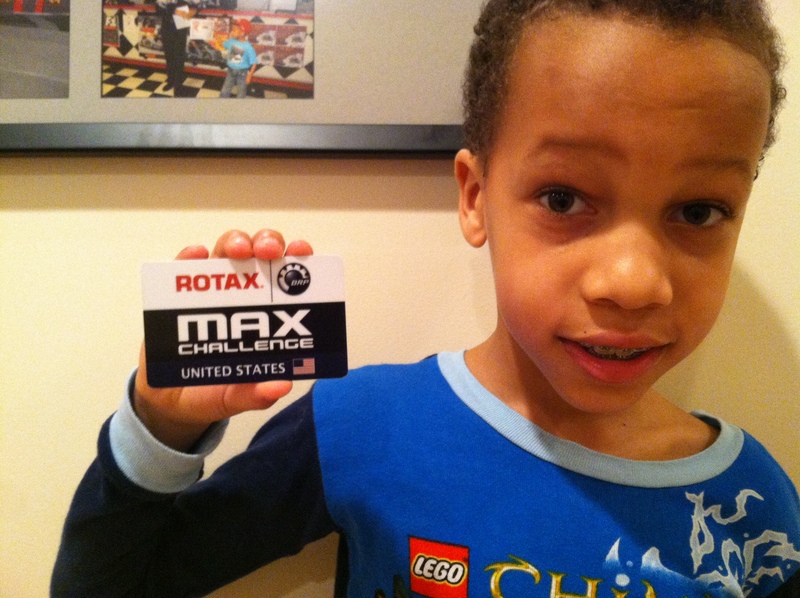 I am also competing in the NorthEast Rotax Max Challenge at several tracks between April and October. 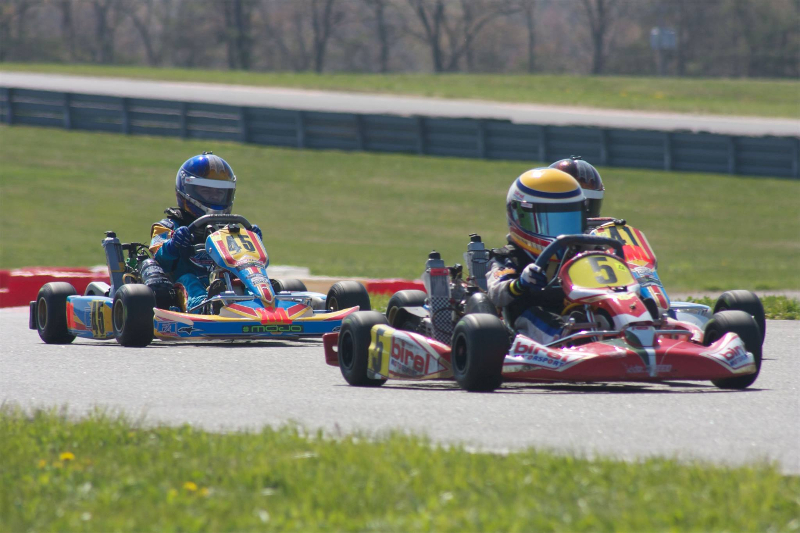 In October, I am hoping to compete a really BIG race called, The Rotax Pan American Challenge at The GoPro Motorplex in North Carolina. 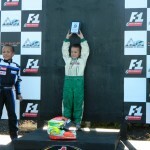 I will be one of the few 8 year olds competing in the youngest class (MicroMax), that is for 8-11 year old kart racers. The winners of this race will be eligible to represent our country and compete in the Rotax World Finals in November – “The Olympics of Karting”. My Dad and I have a lot of help this year from Mike Ramirez (Chi-Chi) and John Bonanno, who are helping with tuning and coaching. While I am having fun and learning how to become a better driver, I get to see my racing buddies including: Alfonso, Justin, Pierce, Sufyan, Craig, Livia, Chloe, Ronnie, Will and Ryan. 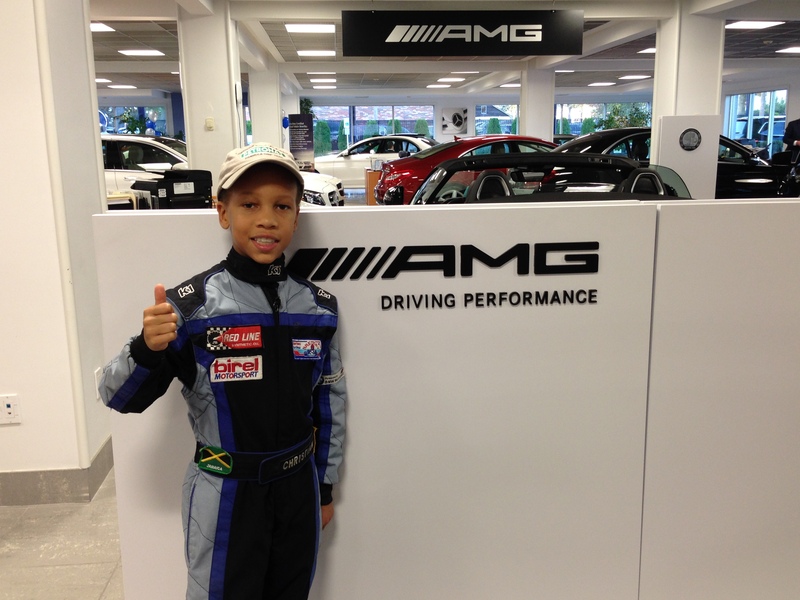 Stay tuned and be sure to check my KidzSpeed Facebook page for updates and more photos. 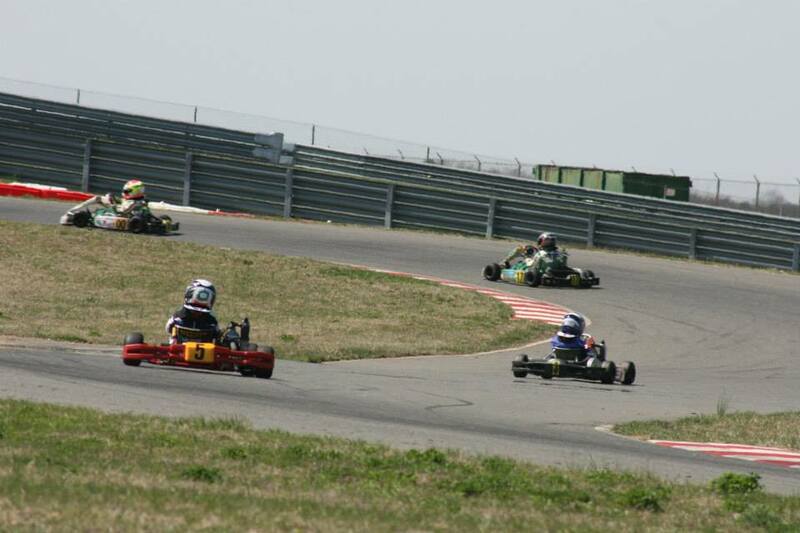 NJMP straightaway hard on the gas – Green flag! 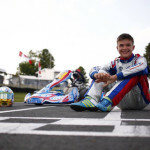 This is Austin Riley, a three time champion kart racer from Canada. He is 14 years old. 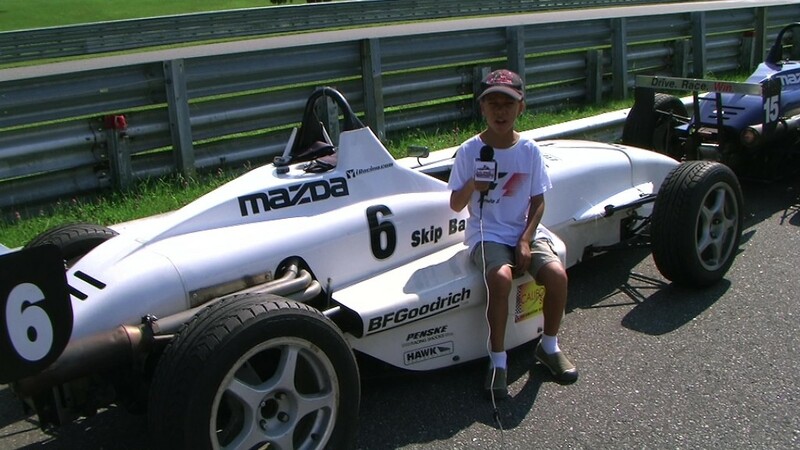 Austin drives really great and when he was my age, he raced a MicroMax kart just like me. Austin is a very special kid. In a lot of ways, he and I are alike. Austin has Autism. Some things that are easy for most kids are difficult for him, but kart racing is not one of them. 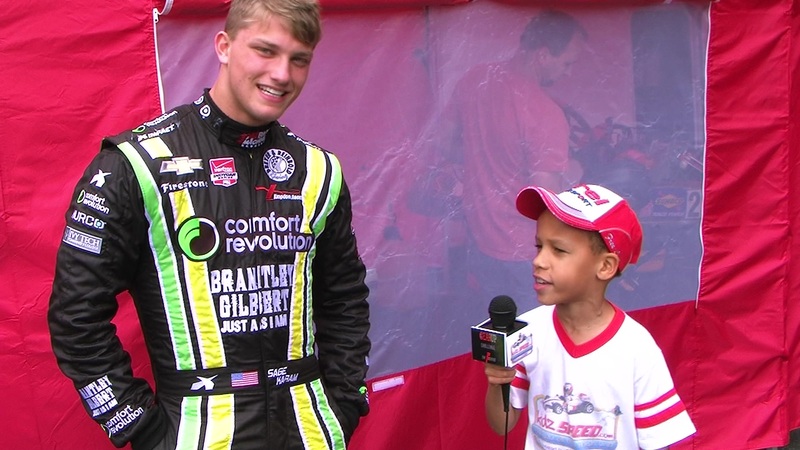 Austin’s Dad and coaches are very supportive of Austin and he has met many famous racers. 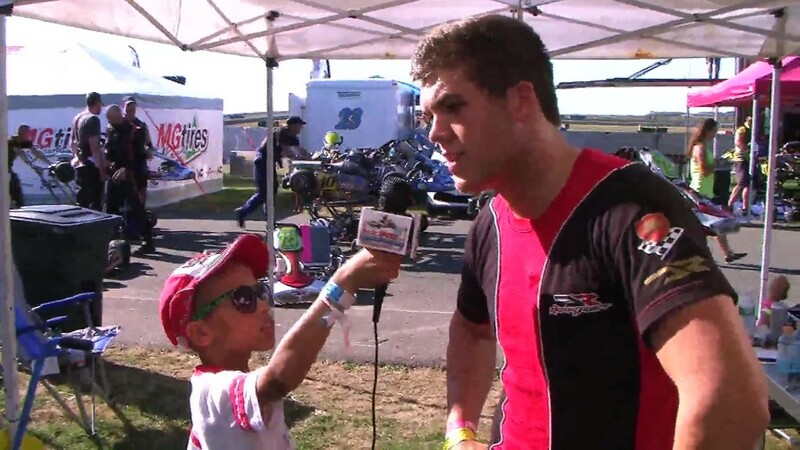 The kids at the track are happy to see him and look up to him for his driving skill and his friendly personality. 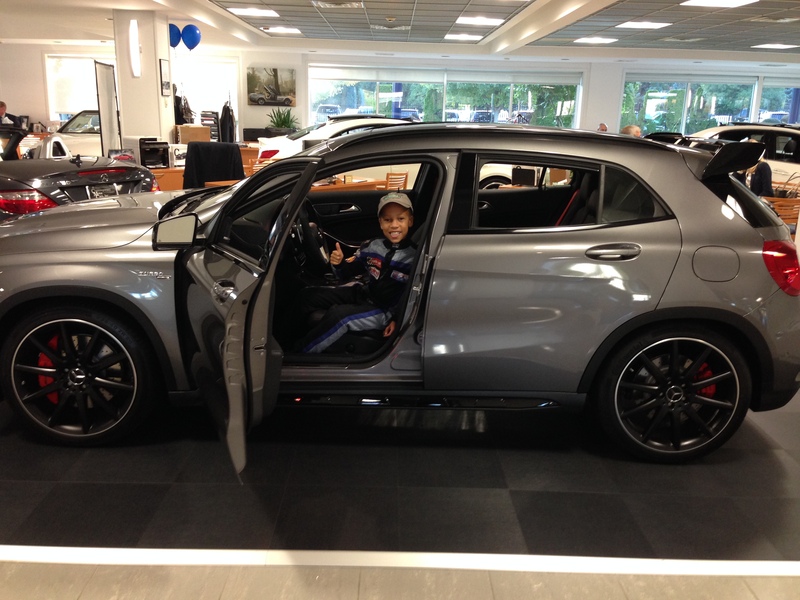 Austin says, “just because you have Autism, it doesn’t mean you can’t do great things”. 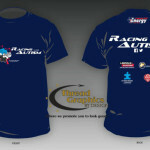 To help support his racing career, you can buy one of Austin’s pit shirts. 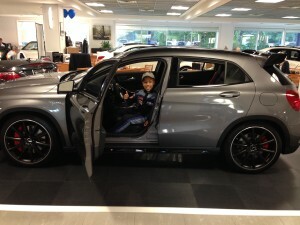 In addition, a part of the funds will be donated to Autism Speaks Canada. I bought one and I will wear it on a few race days this season. 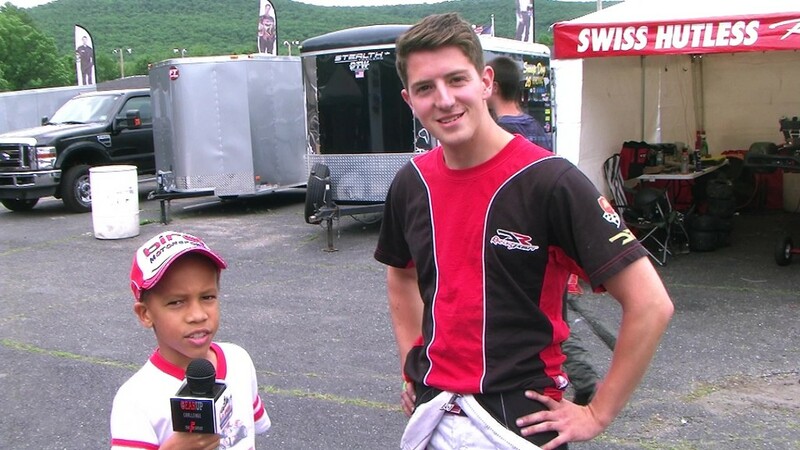 I hope to meet my new friend , Austin very soon and maybe interview him for KidzSpeed. 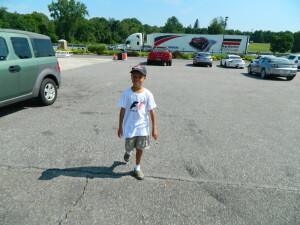 This past Saturday was my first visit to Oakland Valley Race Park. 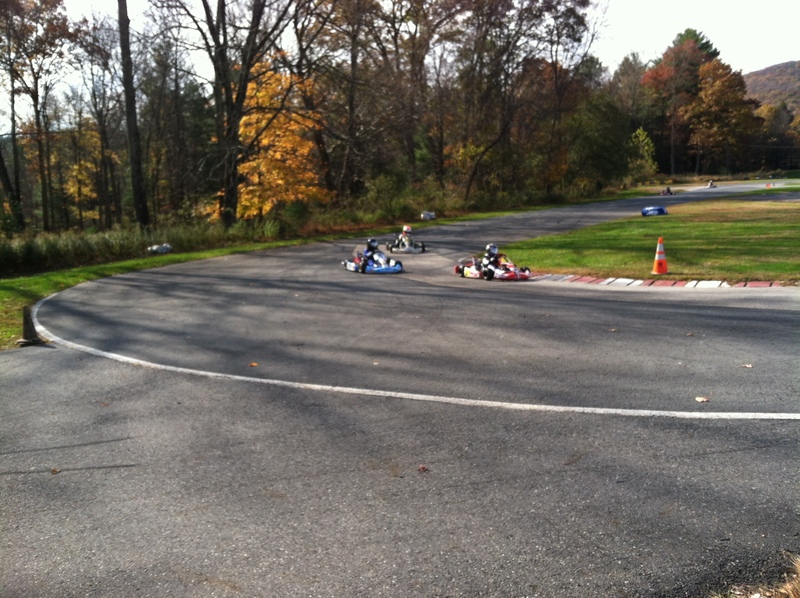 It was their last race of the season and the NY State Rotax finals. 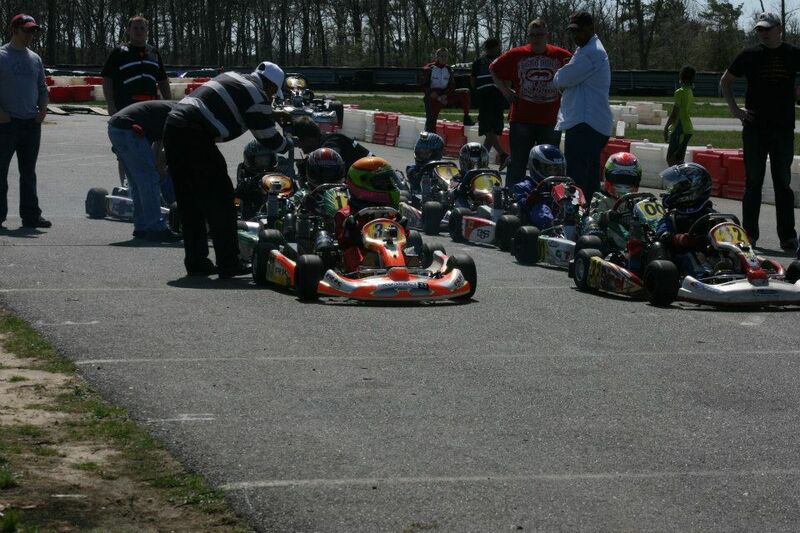 During warmup for the qualifying lap, the kart in front of me spun out and I went into him at near full speed. I hurt my hand, bent the tie rod and steering column on my go kart. I was out of the race for the finals. 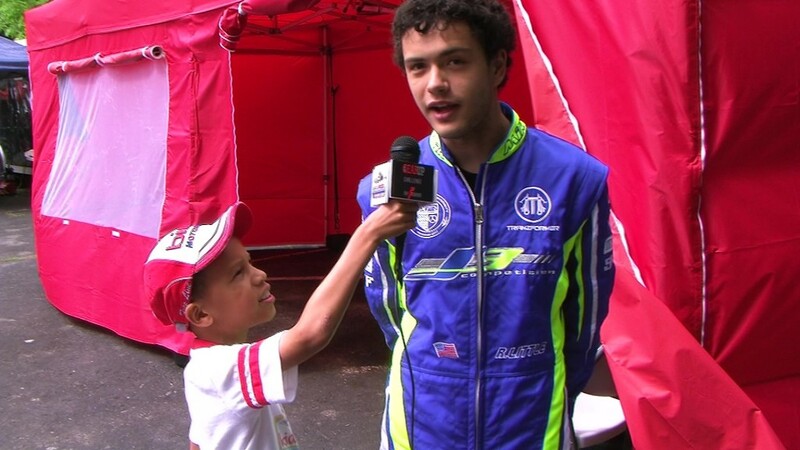 Thanks to Toni, EMT at OVRP, Jeremy from Action Kart (my tuner for 2 years) and my racing friends: Chloe Chambers, Alfonso Lombardo, Justin White, Sufyan Waryah and George Megennis who came to check and see how I was feeling. 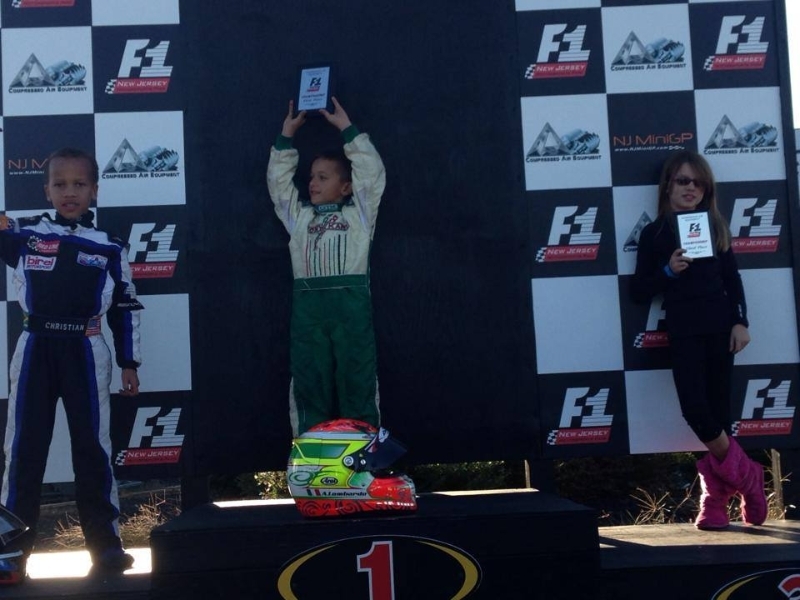 The next day (Sunday), I won a 2nd place trophy w/ Alfonso Lombardo and Livia. 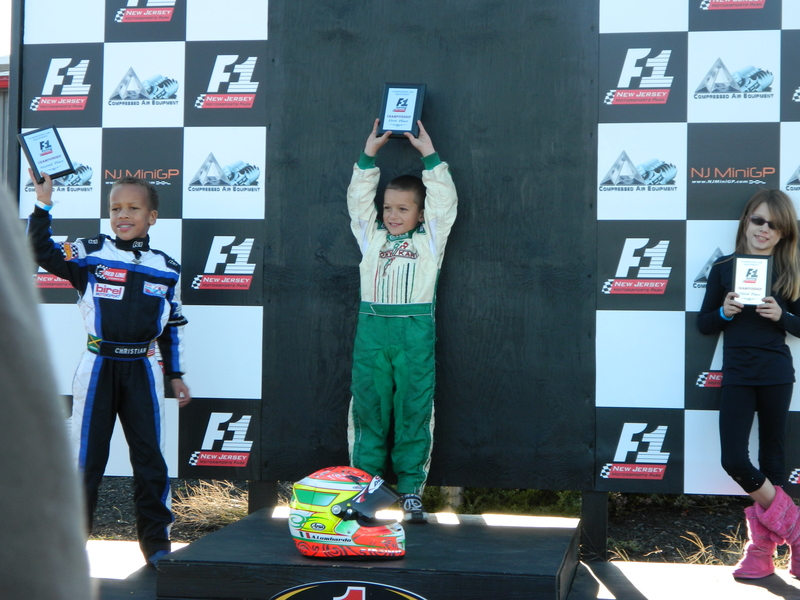 My first trophy in the new MicroMax kart. A great day of racing, plus my Mom and Sister came to watch in the afternoon. I feel much better after my crash yesterday. 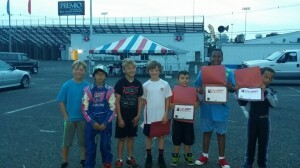 Also, congratulations to Craig in Yamaha class and Sufyan in Comer class. 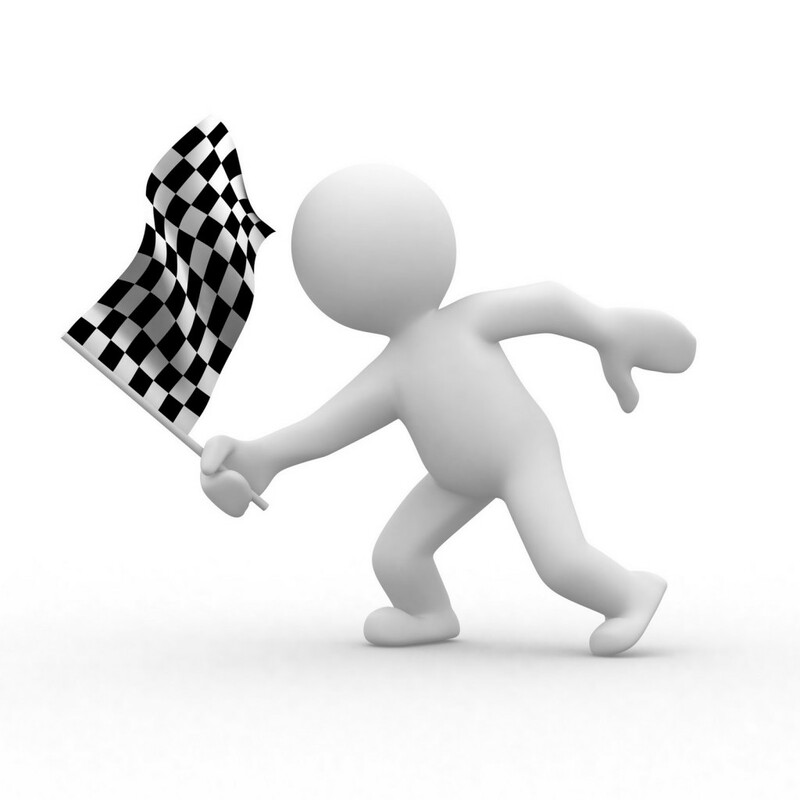 A great weekend of racing, as the racing season ends for Winter. 2nd place win with Alfonso and Livia.